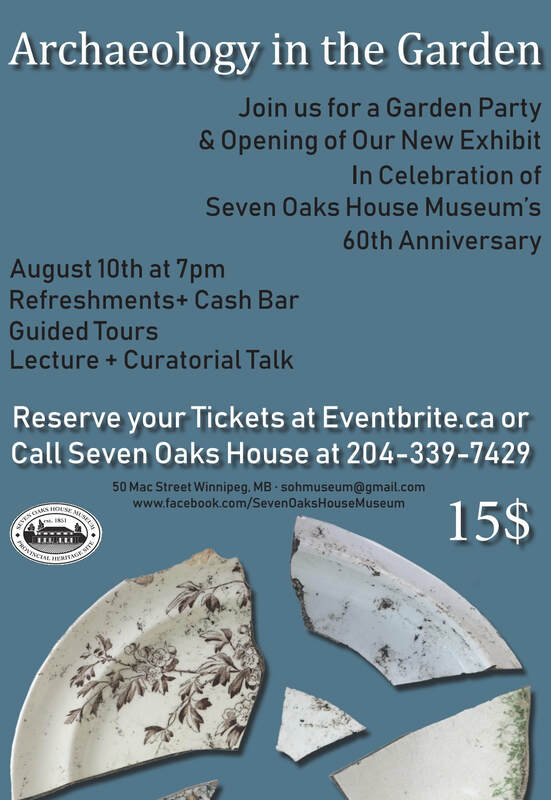 Join us in our garden as we celebrate Seven Oaks House Museum's 60th anniversary and explore the history that lies beneath your feet. This spring, Seven Oaks House hosted a dig by the University of Manitoba's Archaeological Field School, who excavated in the park surrounding Winnipeg's oldest home. They uncovered hundreds of unique artifacts that can tell us about life along the Red River and the Inkster family who lived on this land for more than 80 years. For one night only these artifacts will be on display to the public, and will offer a special glimpse into Winnipeg's past.